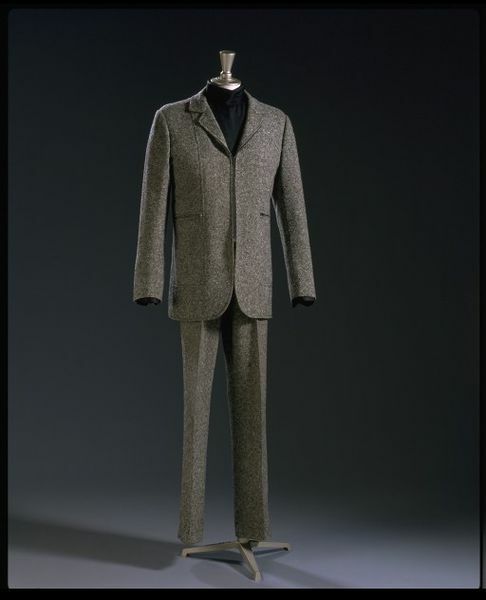 Worn with a silk rollneck shirt , this suit exemplifies the informal dress codes of the later 1960s. 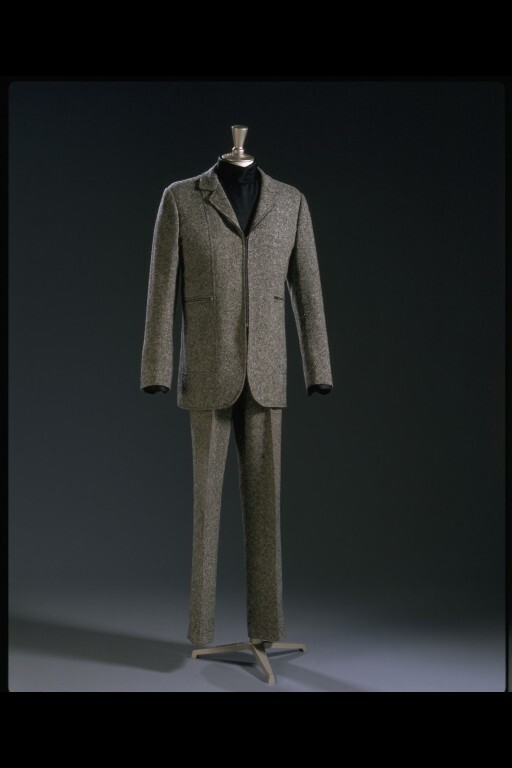 The revolutionary idea of replacing the shirt and tie reached even to Savile Row establishments. Gilbey uses a traditional tweed for a futuristic design, incoroporating zipped front and pocket fastenings. 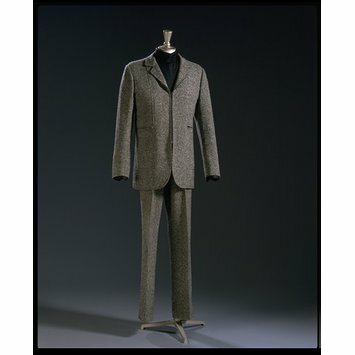 Grey wool tweed suit with zip detail, by Tom Gilbey, London, England, ca. 1968.